Vena vAllure is designed using high-quality polycarbonate (PC) with metallic finishing to provide the exclusive premium look. The unique textured design on the side adds grip to your iPhone SE/5s/5. The beveled volume and power buttons are carefully crafted to maintain the same great tactile feedback from your device's buttons. The high-quality shock absorbent thermoplastic polyurethane (TPU) does not stretch out over time. With CornerGuard TM technology and unique pattern, Vena vAllure protects your iPhone SE/5s/5 and disperses the force from shock and impact through the TPU case. At just 2.8mm thin and less than 1.5oz, the slim and stylish profile of Vena vAllure protects your phone with minimal bulk and complements the essential look of your iPhone SE/5s/5. 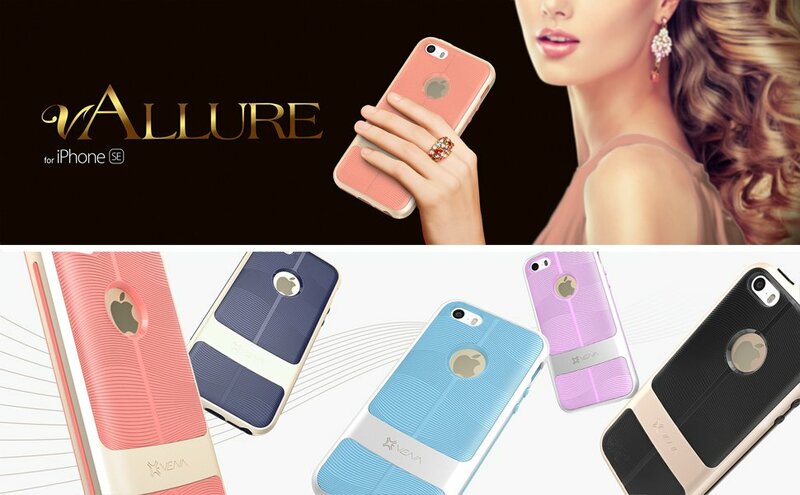 Vena vAllure case is reinforced with precision cut-outs to suit the iPhone SE/5s/5 and provides effortless access to all ports, buttons, and features. Love the look! I added screen protection as this does not offer any. The first time I took the cover off, a tiny part cracked a little, but you cant really notice it. I dont really feel confident that it would protect the phone from a fall, but as I said, I love the look! Such a classy design and very durable. A great buy! First of all, this is an elegant case with good colors and minus all the bling stuff that is so distracting and snags on things. It feels great in your hand and provides a good grip without being too "spongy" or sticky. A classy and very functional case at a great price.